Last week this quote and photo filtered through my facebook news stream. It got me thinking about all the times I speak to the children at my childcare center and now my own daughter. I have an inner dialogue in my mind. Almost daily I need to filter out the negative comments thrown at me over the years. 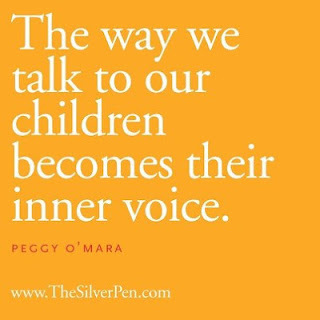 I fear passing those negative experiences on to the children I have daily interaction with, and am extra mindful of being kind in all situations. There are words I choose not to use when practicing child-guidance. It would also be easy to snap at my own daughter after a long day of guiding other children. FYI- I don't force children to say sorry or be friends with children they clash with, but let's save that for a different blog post. "Don't envy your neighbours. Chances are they're unhappier than you know and you'll never be satisfied with what's in front of you." "Your reputation is only as good as the company you keep." "Integrity is doing the right thing when no one is looking." "Charity is helping people when it offers no benefit to your own gain." "Saying sorry doesn't always fix things and it doesn't excuse you from responsibility." "Better to be honest than to be revealed in a lie." ""Not all hard workers are rewarded for their labour. Any honest job is worth doing to the best of your ability. Excellence in the small things is gives pride and strength of character." "You aren't going to like every person you meet or work with. You'll need to practice showing respect (in spite of differences) to those you don't." 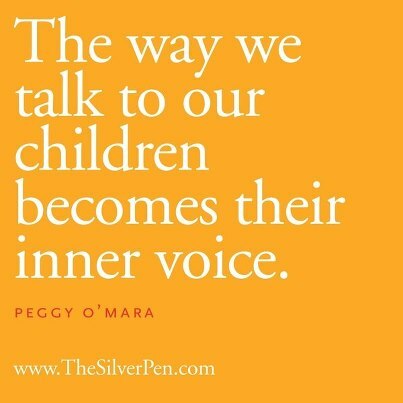 Is there someone who influenced your inner voice?